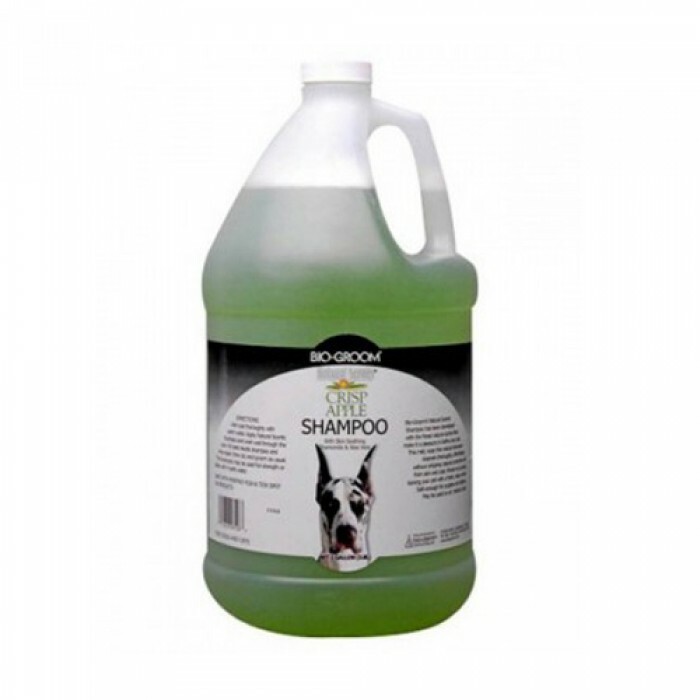 Product Information- Bio-Groom Crisp Apple Natural Scent shampoo is a gentle cleansing shampoo for your dogs. Made with natural ingredients such as Chamomile and Aloe Verais presented as our invitation to come grow with us. The shampoo is gentle on the skin and does not cause any rashes or skin irritation. Aloe vera soothes the skin and strengthens the roots and leaves a glossy soft fur. Chamomile is a natural fragrant and leaves a pleasant fragrance on the pooches.made with aloe Vera and chamomile. soothes the skin and strengthens the roots.